Want to buy a good flat iron? Learn what you should look for when purchasing this tool! 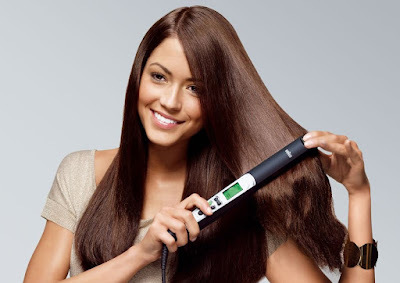 All flat irons in Prestige Beauty Salon have variable heat settings for a reason. Since clients have different hair types, hairstylists adjust the temperature in order to avoid unwanted damage. Look for a function to set the temperature if you want to keep your hair healthy! The vast majority of professionals at Prestige Beauty Salon agree on the fact that ceramic material is the best. On the one hand, they are less likely to undermine the health of your hair and cause thermal damage. On the other hand, ceramic flat irons distribute heat evenly ensuring the most effective result. If you’re a ditzy person, then you should definitely look for a flat iron with an automatic shut-off function. It would be a pity if you forget to turn your tool off and burn the whole place down. This function helps to turn a flat iron off if you’re not using it for some time. When it comes to the size of plates, you should consider your hair type and length. Small plates are better for short haircuts and fine hair; they also give you an opportunity to get difficult places. If you have coarse and thick hair, you should opt for large plates. 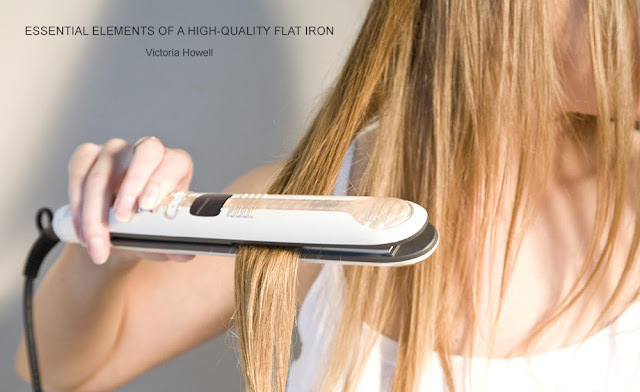 If you want to purchase a high-quality flat iron, be prepared to spend a considerable amount of money. It’s better to invest in a good tool now and eliminate the need of fixing your hair after the damage from a cheap flat iron.